DENVER – In The Heights, winner of four 2008 Tony Awards® and the 2008 Grammy® Award for Best Musical Show Album, is coming to the Buell Theatre in Denver from April 28 to May 9. Single tickets now on sale at www.denvercenter.org or by phone. In The Heights tells the universal story of a vibrant community in New York’s Washington Heights neighborhood – a place where the coffee from the corner bodega is light and sweet, the windows are always open and the breeze carries the rhythm of three generations of music. It’s a community on the brink of change, full of hopes, dreams and pressures, where the biggest struggles can be deciding which traditions you take with you, and which ones you leave behind. 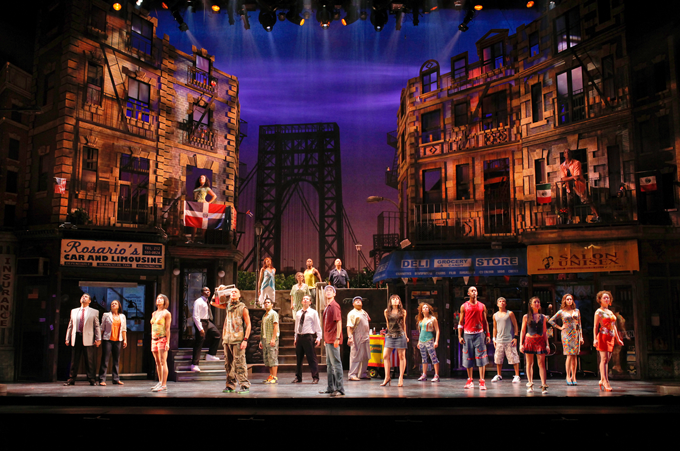 In The Heights opened on Broadway to wide critical acclaim March 9, 2008. The Washington Post said In The Heights is “pure Broadway…an evening of old-style, innocent pleasure” and Ben Brantley of The New York Times enthused IN THE HEIGHTS is “an exuberant, animated shrine to the importance of family ties and being faithful to where you come from.” In The Heights continues to play on Broadway at the Richard Rodgers Theatre. Next Story: Will print news survive?